The Astounding Bhagavad-Gita - Benvenuti su astoundingbhagavadgita! Please accept my humble obeisances; all glories to Srila Prabhupada. For more than ten years I have been printing large format books such as Darsana, Krishna Art, and the latest 16 Kg Bhagavad Gita. 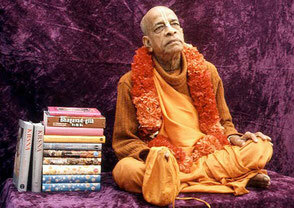 My cherished dream has always been to produce Srila Prabhupada’s Bhagavad Gita in a size that would make it the largest printed sacred text in the world, and then, after displaying it in different parts of the world, place it either at Kuruksetra where Krishna had spoken to Arjuna on the battlefield, or in Mayapur Dhama where the Temple of Vedic Planetarium is being built. When Mr. Mauro Loce, the publisher and printer with whom I have a close friendship, invited me for the unveiling of the half ton, 2.00 x 1.50 meter Kuran to be presented to the King of Tatarstan, my desire to realize Prabhupada’s Gita in an astounding format and opulence increased exponentially. By sincere determination and Radha-Krishna’s blessings it could be done. 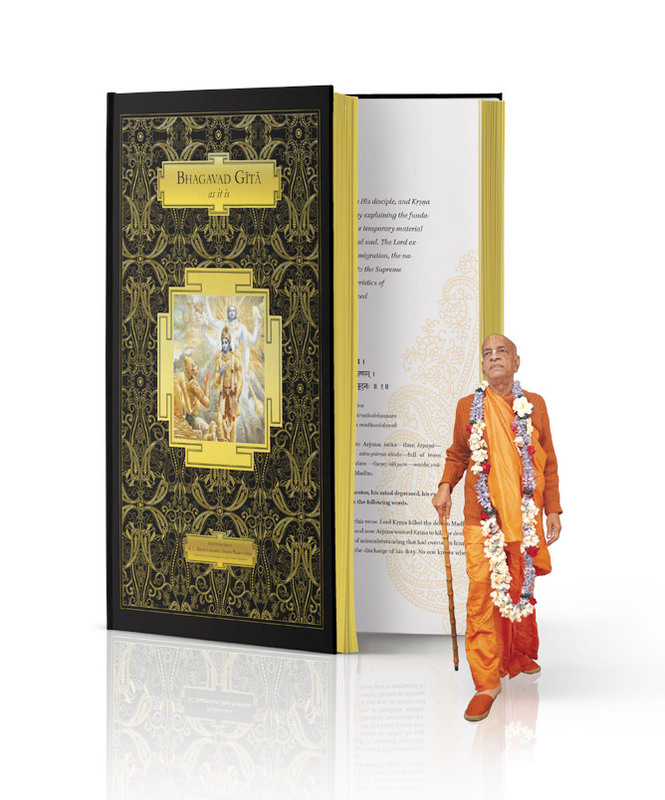 Recently the Italian branch of the International Society for Krishna Consciousness has undertaken the task of trying to collect the necessary funds to commission such monumental Book to the BBT. A team of the most qualified experts is now working on the artistic rendering, the engineering, the graphics, and the maintenance of an astounding 2.80 x 2.00 meters Bhagavad Gita! 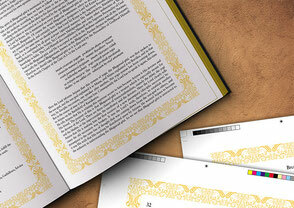 The digital rendering you find herewith gives you an idea of the impact this unique book will have on the minds of people, as well as the magnitude of the task ahead of us. It will be a real book with characteristics which will be usable (with the proper care and know-how), and will last for thousands of years. This is a great service to Srila Prabhupada, and we ask for your blessings and help to realize it.